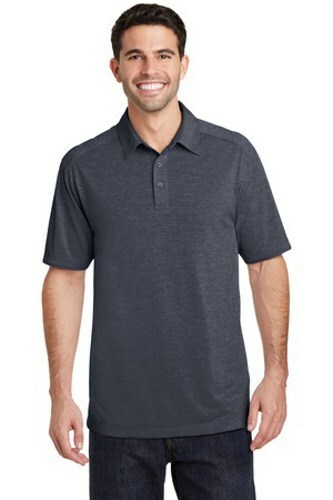 The Port Authority Digi Heather Performance Polo shirt has subtle pixelated pattern that is sophisticated enough for the office, but sporty enough for the lanes. This moisture-wicking shirt was designed with comfort and performance in mind. Due to the time it takes to produce the Port Authority Mens Digi Heather Performance Polo Dark Grey ball it will ship in 1-2 weeks. We cannot ship this ball outside the United States.